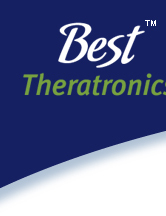 As part of Best Theratronics’ commitment to open communication with the community, Best Theratronics has implemented a Public Information Program. This web page represents one of the mechanisms by which Best Theratronics provides information to the public in regards to items of interest or concern to the public. Best Theratronics’ Public Disclosure protocol can be found here. Any questions regarding the information on this page may be directed to Mojgan Soleimani, Radiation Safety Officer (). April 23, 2019 - In order to assess our emergency preparedness program, Best Theratronics conducted a full-scale evacuation exercise this afternoon. The exercise was completed successfully. Many thanks to Ottawa Fire, police, and paramedics assisting with the exercise. March 28, 2019 - Class 1B Annual Compliance & Performance Report for 2018. A copy of the Annual Compliance Reporting Form can be found here. March 19, 2019 - Annual Compliance Report for for Servicing, Installation & Dismantling of Devices for 2018. Click here to download the PDF. March 19, 2019 - Annual Compliance Report for Service (by independent provider) Class II Prescribed Equipment for 2018. Click here to download the PDF. February 18, 2019 - A false alarm was activated in the early afternoon due to an electrical short in the fire safety system by a water leak. All employees evacuated the facility safely and the building was deemed safe for re-entry by fire response personnel shortly after.